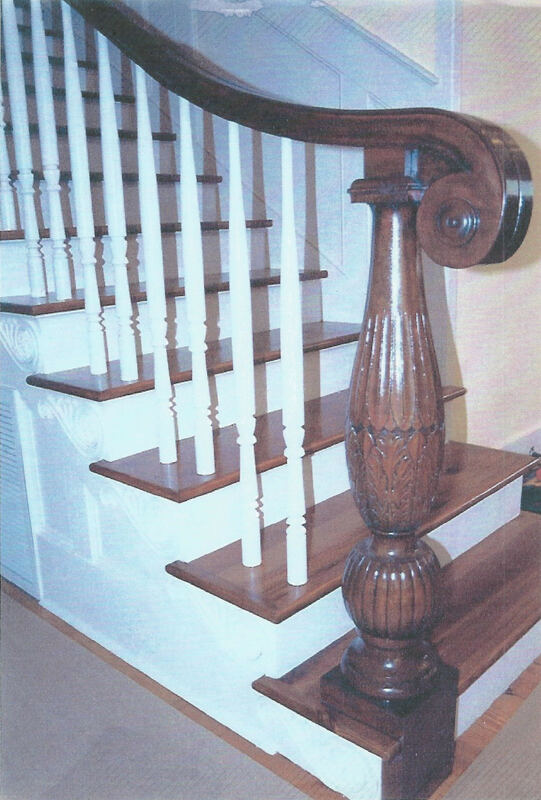 Master stair builder and wood turner with over 43 years of experience. 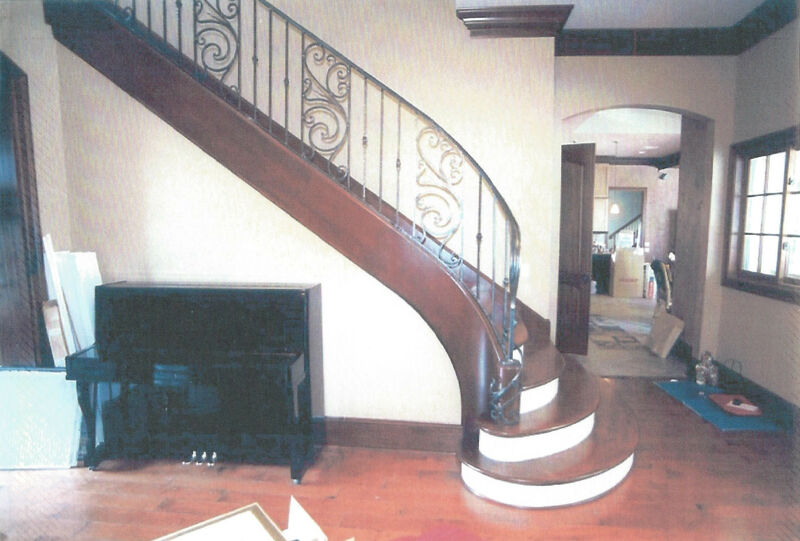 Zuccarello Custom Wood Works LLC also does major renovation work and consultation in any woodworking arena. 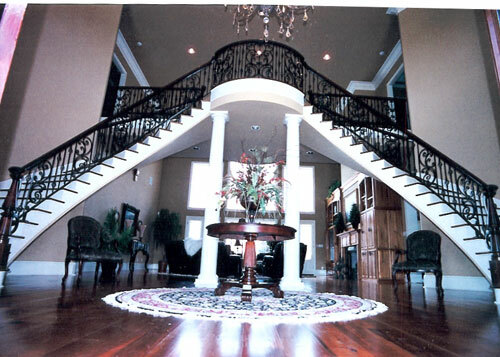 One of America’s finest custom stair builders with over 43 years of experience in all woodworking applications. The company’s manufacturing facility is located in the heart of plantation country which enables us to be an integral part of restoration and renewal of very old homes and other historical structures by replication of large columns, balustrades, mill works and moldings which have deteriorated over the years and can no longer be purchased thereby necessitating the work to be done by hand as it was originally. Zuccarello custom wood works is a family owned and operated business. Sheron Zuccarello is our general manager running the day to day operations such as estimating, scheduling, and fine tuning each job to provide you, the customer, with the staircase of your dreams. As a young man Wayne Zuccarello apprenticed with master carpenter Mr. W. A. Coco and world renouned archietect Mr. A. Hays Town of Baton Rouge, Louisiana. He has been perfecting his craft ever since. We frequently are asked to help with the designing aspect. Zuccarello Custom Woodworks can provide any wood species including all reclaimed lumber according to your needs. 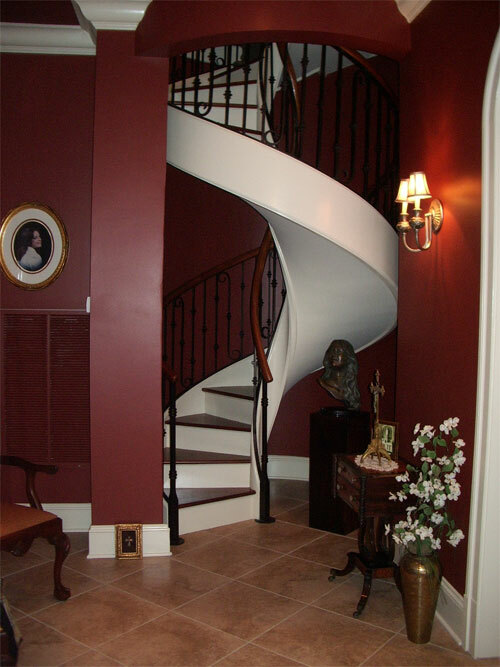 We also can incorporate forged iron work in our staircases. © 2019 Zuccarello Custom Woodworks, LLC.